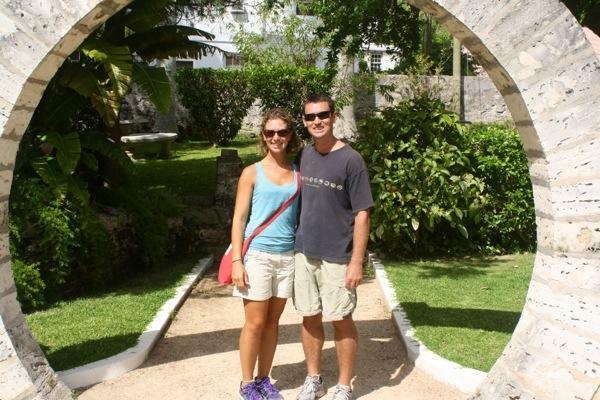 Our home this week is St. George’s, Bermuda. This wonderful Harbour is set up very well for visiting cruisers. 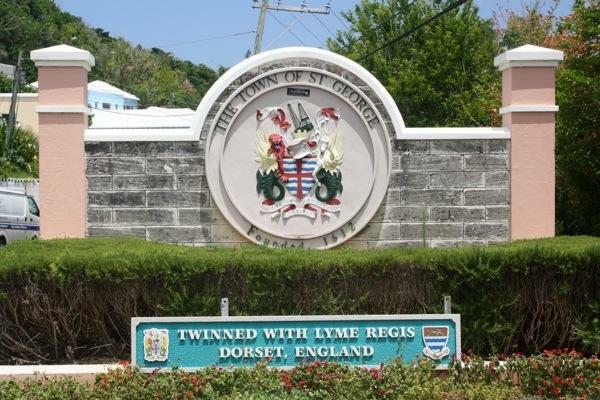 There is a great place for us to tie up the dinghy near the center of town right across from the customs dock. From here we wandered directly into the heart of the historical district for which st. George’s has been named a UNESCO world heritage site. 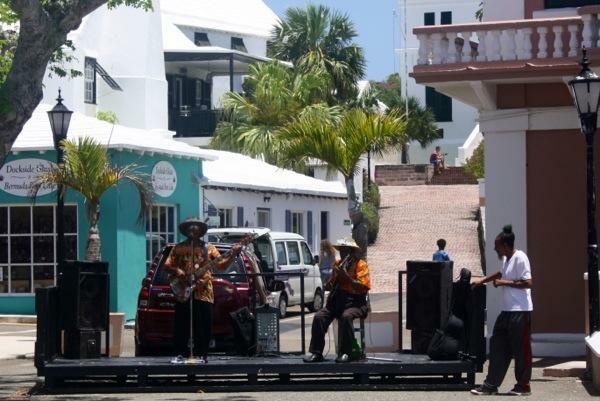 The old town square, King’s Square is set up with a stage where live music plays in the afternoon. There is even an old set of stocks set up in front of the Town Hall. 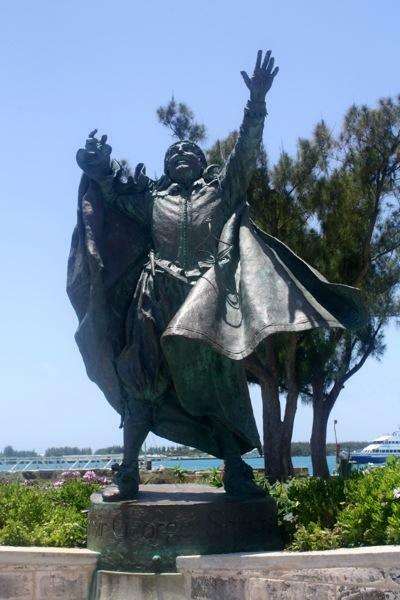 The first recorded “landing” on Bermuda was when the British ship Sea Venture wrecked on the north shore of the island in 1609. Sea Venturewas bound for Jamestown, Virginia carrying desperately needed supplies for the colonists there. One-hundred-fifty crew members survived the wreck and managed to salvage enough of the Sea Venture to build two smaller ships and continue on to Jamestown with some of the supplies. 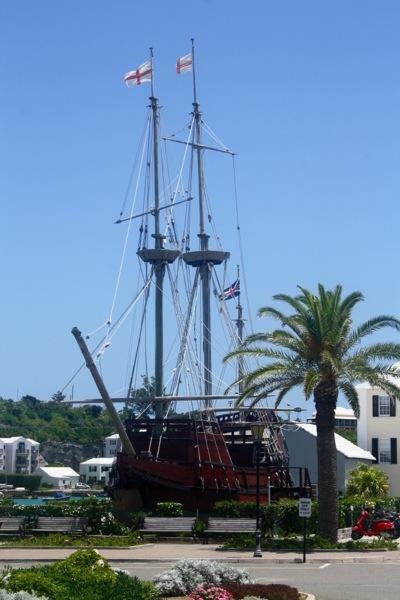 Only two crew members from the Sea Venture remained in Bermuda. This ship, the Deliverance, is a replica of the larger of the two ships salvaged from the Sea Venture. The Deliverancereplica is located on Ordinance Island and open for $1/person tours. 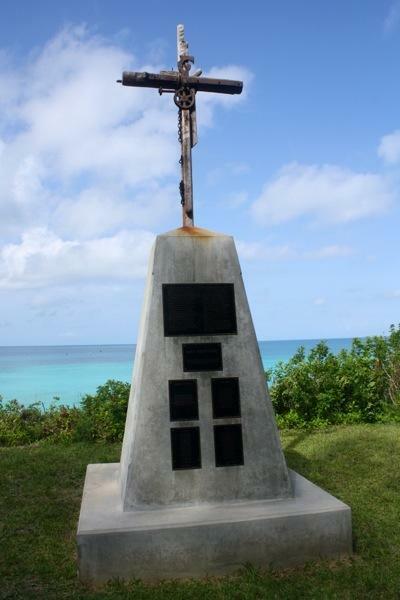 Along one of our walks on the coast of St. George’s Island, we discovered this monument above Sea Venture Shoals where the Sea Venture had wrecked and washed ashore. This statue is Sir George Somers, Captain of Sea Venture. 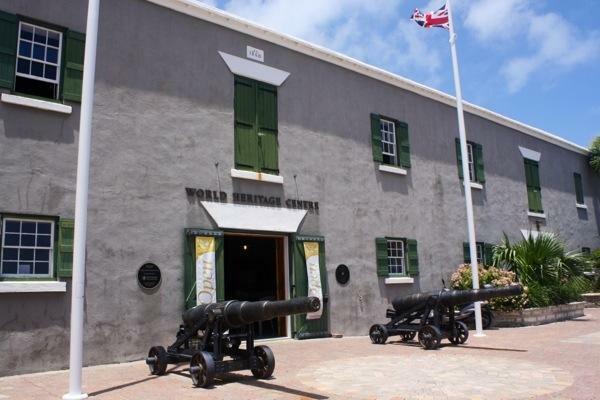 The UNESCO World Heritage Center is located just minutes from King’s Square. 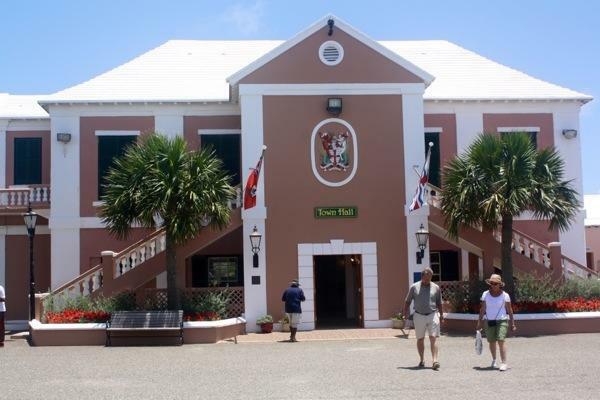 A scenic walk along pedestrian only Water Street, the town’s original coastline, will bring you to Penno’s Wharf where the center museum is located. Brian and I walked toward the north end of town and stumbled upon the Unfinished Church. It was begun in 1874, intended to replace St. Peter’s Church. But after a series of problems construction ceased and was never resumed. We enjoyed a picnic in Somers’ Garden, having found and stopped at the grocery store amidst our exploring. All of this history was within a five minute walk from the dinghy dock, marvelous! We were well informed with maps and brochures from the Visitors’ Information Center (literally at the dinghy dock) and began plotting our Bermudian stopover. We paused under the park’s moon arch to wish ourselves good luck for upcoming days. 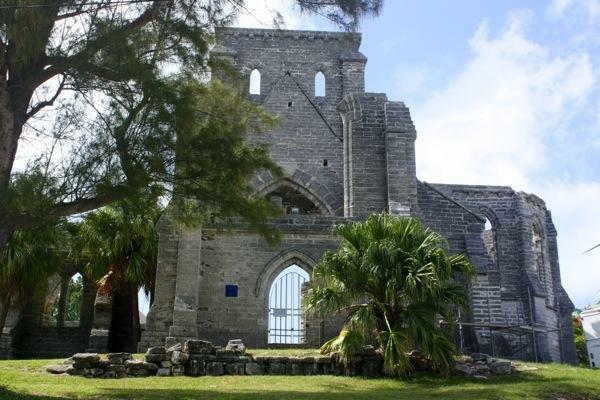 This entry was posted in Uncategorized and tagged bermuda, kings square, St George's Harbour, UNESCO world heritage site by stephanie. Bookmark the permalink.